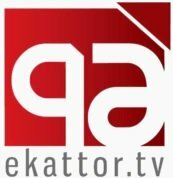 News TV Channel / Ekattor TV is a 24-hour Bangladeshi news television channel. The channel goes to full on air 21 June 2012. This is Bangladeshi fourth news channel. They are headquartered in 57, Shohrawardi Avenue Baridhara, Dhaka. The channel Slogan is "Sangbad Noy Sanjog".Ekattor TV is number one news channel in Bangladesh.